There was a time when blogging used to be done only on the desktops and laptops. But just like Santa, when technology gifted the audience the power of using apps on their smart phones, there came a revolution in the blogging scenario. Yes, anyone and everyone can try their hands on blogging, be it personally or professionally, on their smart phones and tablets. I did. Did you? 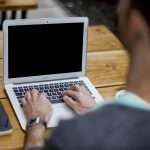 If not, find out here the five best apps every blogger should have to get the whole process of their blogging done smoothly and without any hassle. If are you a blogger, you must have definitely heard of WordPress. Whether you want to be perfect in writing or editing, this is the app to have in your phone. Is there any fun, if you really can’t quirkily reply to the comments on your blog posts? WordPress lets you do so. Oh, you can also check the analytics of your blog posts from time-to-time. It’s like every essential bit of blogging is in one single app. Isn’t that really cool? Plagiarism is like an unwanted guest in a personal party. Its presence in the blogs is unacceptable just like we would stare at the unwanted man in the boots who would have crashed our party. Well, to make sure there is a consistency of flawless grammar, Android came up with Ginger that is a master of this trade, plagiarism. 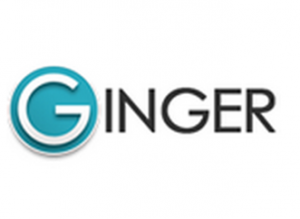 Being a quintessential grammar checking app, Ginger can identify, correct and suggest on mistakes and misspell words. So always proofread, even while on-the-go. What do you think; writing a blog post without pictures is going to fascinate your audience? Well, it’s a big NO. Adding vibrant high-quality pictures in your blogs is the new mantra for becoming a popular blogger. Whether you are on a local transport or sitting lazily at the corner of your bed, anytime, anywhere, you can edit and do the necessary touch-ups with Photo Editor. It is the ultimate photo editing app where cropping, resizing, adding texts, effects or making minor changes is no big deal. There are times when you scratch your head trying to remember a particular word that definitely needs to be the perfect word to describe something in your blog post. It could be the meaning of that word you are looking for or an apt alternative to take its place. Be it anything, Dictionary.com is the only solution to make your blogging sorted and easier. No matter how small or big your blog website is, to keep an eye on whether your website is gaining popularity of your target audience or not can be tracked with Google Analytics. You can check the statistics like your site visitors, page views, bounce rate, returning users and much more from time-to-time. The app is user-friendly. So keep stalking! Wow! That’s like a whole world of techie things that is just a download away. So are you game? Stop your quest for the best apps for blogging and get these five installed to see how easily and quickly your hands and mind work together to create masterpieces.